Use to reserve a foursome. You do not need to know all players at sign-up. To reserve multiple foursomes, you need to register twice. Use if you are not part of a foursome. EPOC will assign you to a group. USE "ADD GUEST" OPTION if more than one player. Use to become a sponsor of event but do not plan to attend. With your sponsorship, you receive a placard on a tee and you will also be recognized on a poster board that will be displayed during registration and dinner. Contributions to the EPOC Scholarship Fund are deductible as charitable contributions. Use to become a sponsor of event and to reserve space for a foursome (you do not need names at sign-up). To reserve multiple foursomes, you need to register twice. With your sponsorship, you receive a placard on a tee and will also be recognized on a poster board that will be displayed during registration and dinner. Contributions to the EPOC Scholarship Fund are deductible as charitable contributions. Registration will be closed on Friday, May 30th, and any later registrations will be placed on a wait list pending space availability. To request space, send Email to Seth Molofsky. 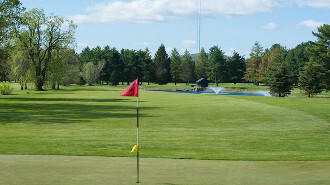 EPOC announces our 17th Annual Golf Scholarship/Grant Tournament designed to fund scholarships for Connecticut students studying at a college or university for a career in the environmental industry and the EPOC Environmental Grant Program. The previous tournaments have been very successful, thanks to our participants, with all net revenues applied directly to the funds. The tournament is open to EPOC members and non-members alike so bring your friends, clients, boss or your special someone and have a great time. Reservations will be accepted for groups of 4, but sign-up early as space is limited. Your entry fee includes 18 holes of golf, cart, continental breakfast, grilled lunch, sit down dinner, and loads of prizes and awards. Best of all, you will be supporting a worthwhile cause. Single or Multiple Golf players - less than foursome - $150.00 per player - Use if you are not part of a foursome. EPOC will assign you to a group. USE "ADD GUEST" OPTION in form if registering more than one player. Foursome - $600.00 - Use to reserve a foursome. You do not need to know all players at sign-up. To reserve multiple foursomes, you need to register twice. Sponsor (no players) - $250.00 - Use to become a sponsor of event but do not plan to attend. With your sponsorship, you receive a placard on a tee and you will also be recognized on a poster board that will be displayed during registration and dinner. Contributions to the EPOC Scholarship Fund are deductible as charitable contributions. Sponsor (with foursome) - $850.00 - Use to become a sponsor of event and to reserve space for a foursome (you do not need names at sign-up). To reserve multiple foursomes, you need to register twice. With your sponsorship, you receive a placard on a tee and will also be recognized on a poster board that will be displayed during registration and dinner. Contributions to the EPOC Scholarship Fund are deductible as charitable contributions.